Invite to break the fast as part of Ramadan. The choir has been invited to break the fast at the home of Farrah in Burnley. This will be tomorrow night (30th) after choir. If you would like to come then please bring a little food to share. Details and directions will be given tomorrow at choir. The end of fast is about 9.40. 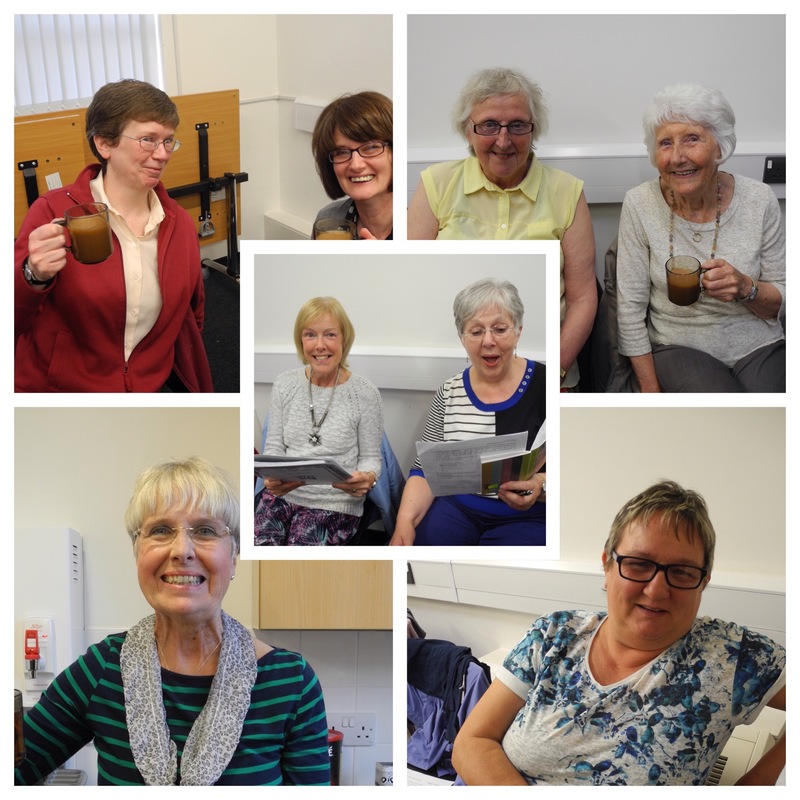 Just a reminder that we return to choir tomorrow night, 30th June, at Brierfield Library, 7 pm as usual. Hope to see you there. To watch all songs from Sing for Water on YouTube Click here. Olwyn and Jacqui our leaders for the day. 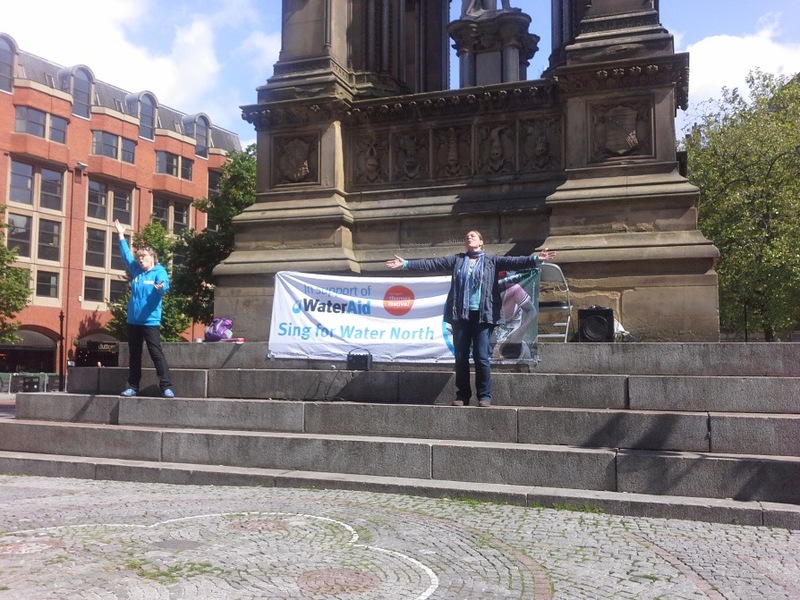 Thanks to Sing for Water North on Twitter for the photo. Alternatively you can hear them here. Our day ‘Singing for Water’. The day started early for those of us who caught the bus to Manchester just after 8.30am. It was cool and cloudy then, but the rest of the day had lots of sunny intervals and quite a breeze but mercifully no rain, however appropriate that may have been. We gathered slowly for the morning rehearsal but we were soon organised into soprano, alto etc. Warming up taught us some new and challenging little songs. 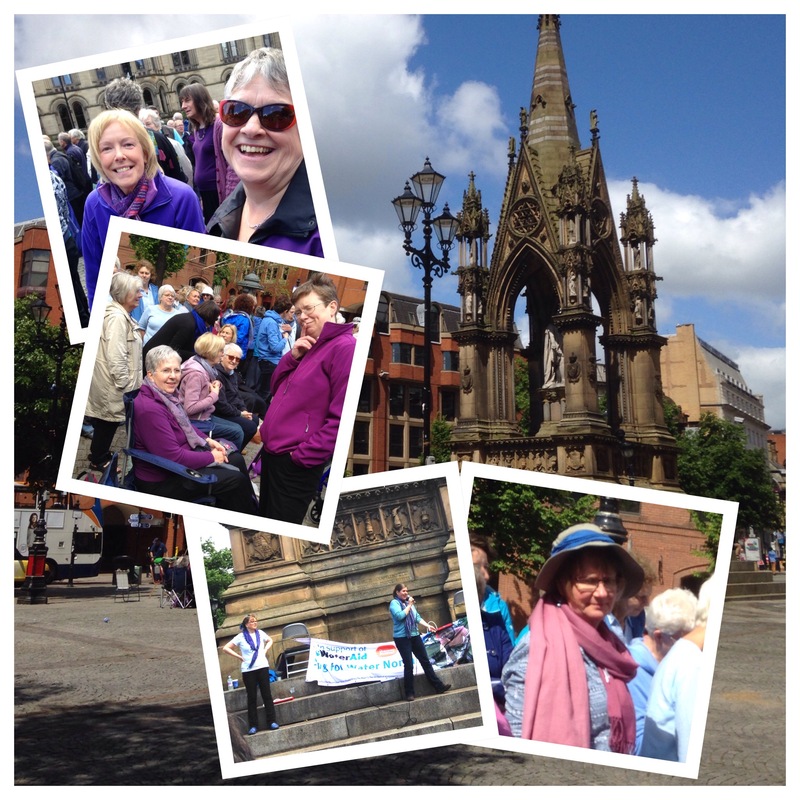 We learned that there were 48 choirs represented from as far afield as Penrith and Sheffield. It was reassuring to find that we had been so well taught and supported at choir that we could sing confidently, with only the occasional glance at our various crib sheets. We enjoyed a picnic lunch and a look around and then, finally, it was 2 o’clock. Before we knew it, we’d completed our repertoire and we wanted to go on singing. Over £6000 had been raised before we arrived; that’s clean water and sanitation for more than 400 families. There were people listening and walking by; hopefully, the buckets brought in some more contributions. So, it was a rewarding event. It was also so much fun and, at times, moving. A memorable day. Thank you, as always, to Janet; her hard work had licked us into good shape. Here we are singing In Zulu! More photos and write up to follow. Here’s a glimpse of the amazing day to whet your appetite.